December 19, 2018 December 19, 2018 InderjeetLeave a Comment on Baaghi 3 Announcement: Ronnie will be back again with his beast mode! 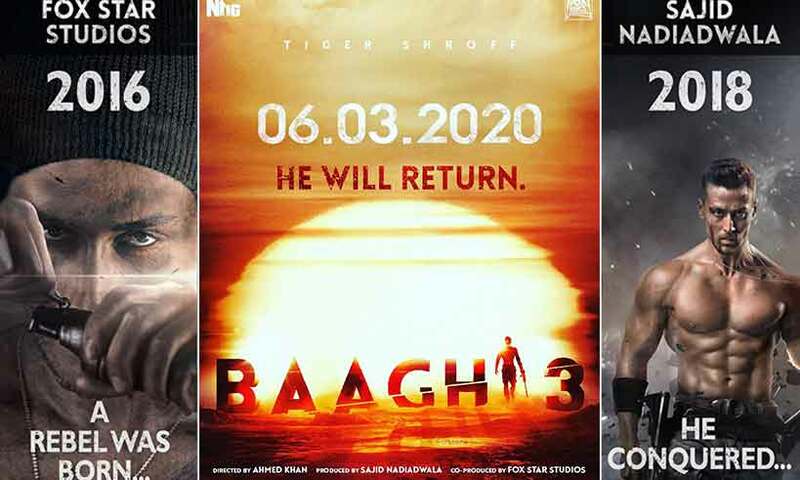 Fox Star Studios and Sajid Nadiadwala joined their hands for 3rd part of Baaghi series with the title Baaghi 3. Tiger Shroff will be the rebel again in this part too after left his marks in Baaghi and Baaghi 2. 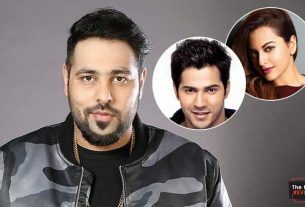 Ahmed Khan, who directed Baaghi 2 will direct this part i.e. Baaghi 3, as well. Baaghi first part got positive response from audience and critics as well and team decided to continue the series and Baaghi 2 released this year. Baaghi 2 got mixed reviews from audience and critics but its box office collection left everyone in shock as Baaghi 2 earned approximate 250 Cr. by investing only 70 Cr. Baaghi 2 is one of the top ten movies in the list of highest grossing movies of 2018. 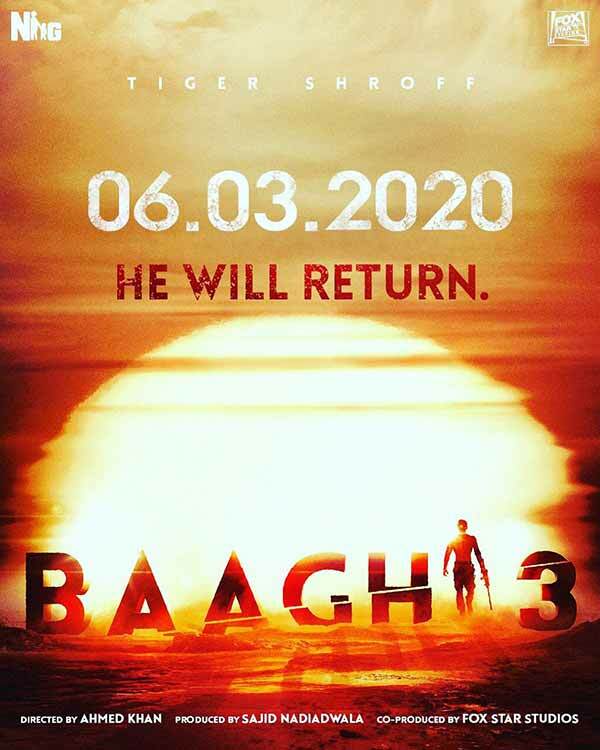 Now again the same team joined their hands for Baaghi 3 which is coming in first quarter of 2020 and release date is 6th March 2020. Except release date and team nothing has been shared by the team so, stay tuned for the further updates about Baaghi 3.